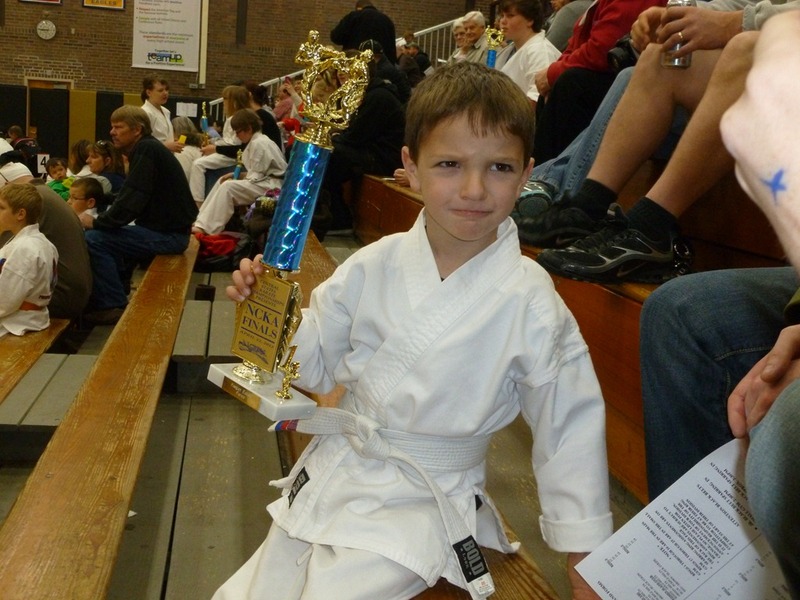 Tae Kwon Do – Little Guy wins 1st Place in Individual Form. 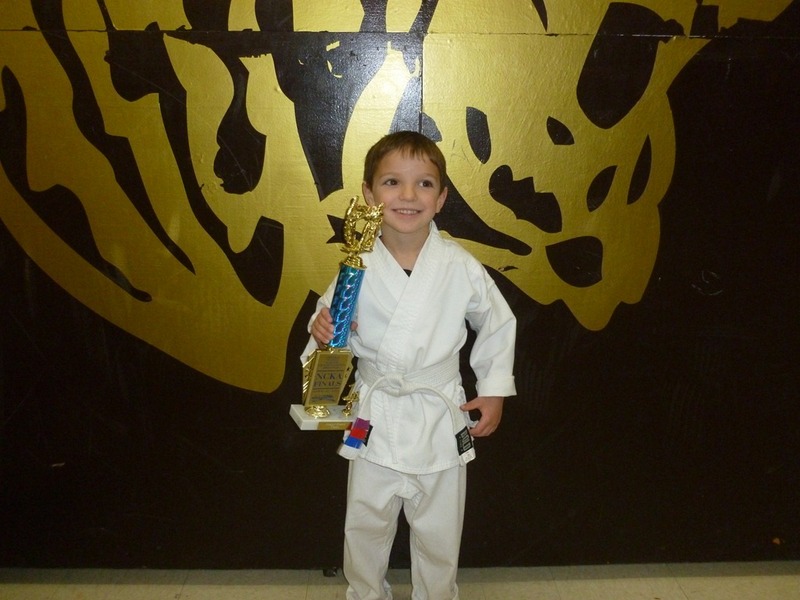 1st Place for Little Guy! 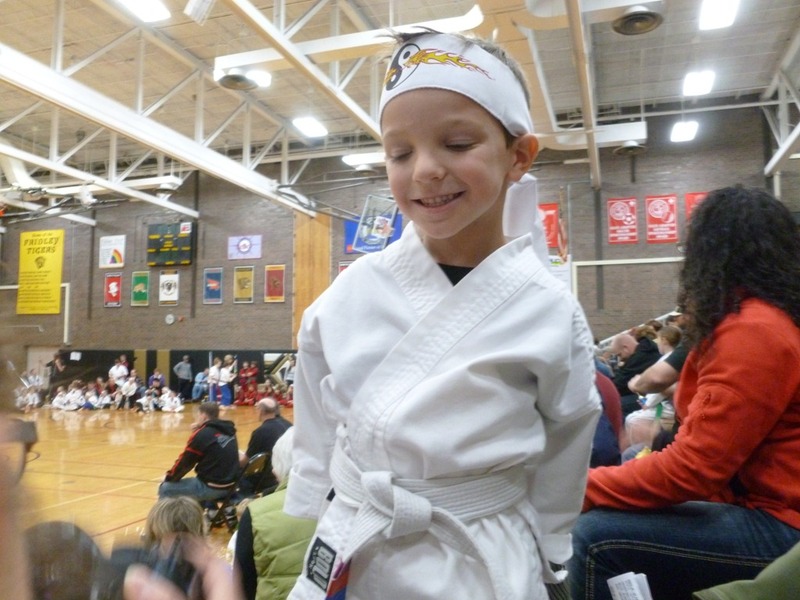 His strong but serious face for ‘Karate Guy’! Dressed here for team competition. 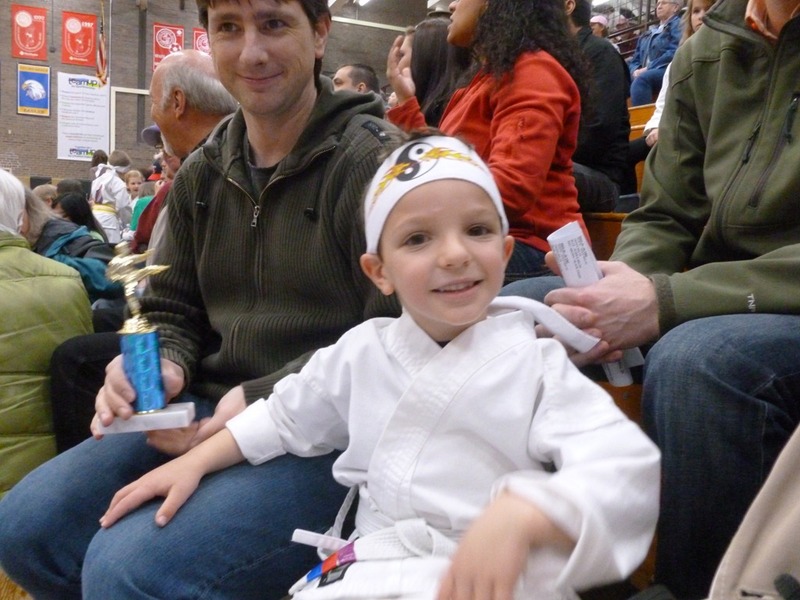 ‘Little Dragons’ Team.